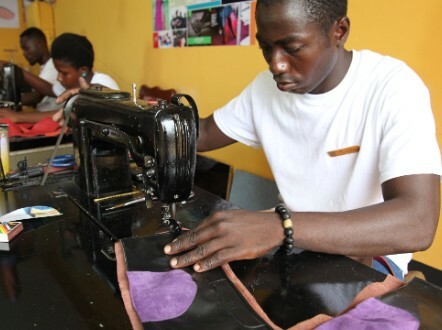 Former banker Fred Deegbe is on a mission to prove that quality shoes can be made in Ghana. 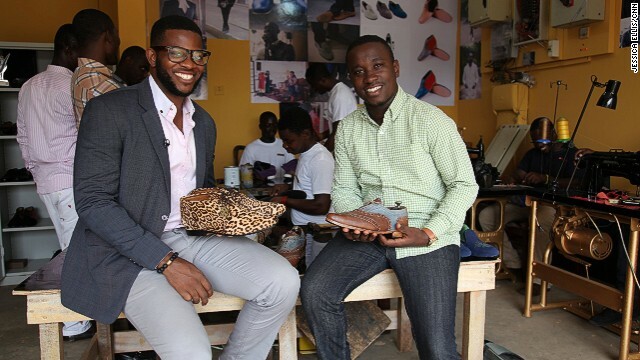 In 2011, Deegbe (left) teamed up with friend Vijay Manu to start a high-end shoemaking company based in Accra, the capital of Ghana. 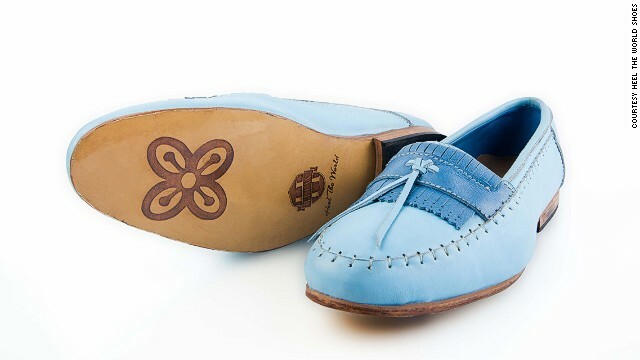 Called Heel The World (HTW), the company produces a variety of upmarket bespoke shoes and leather accessories. Currently the company, which began operations inside the garage of Deegbe's parents, has five full-time employees, all under the age of 30. "The house is the best way for us to start because we cut costs," says Deegbe. Shoes are priced at between $200 and $400, which would be considered expensive in most places, let alone Ghana where many people struggle financially. "You have to convince people that these things can be made here, and these things are worth all the money we are asking for," says Deegbe. HTW has also started producing accessories such "empowerment beads" -- glass and brass bracelets designed to represent the hard work that goes into reaching a goal. 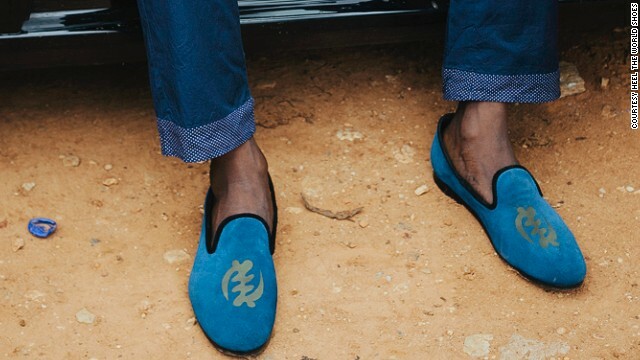 Deegbe is determined to put Ghana firmly on the map of luxury shoemaking: "Eventually people will not think of HTW and question it anymore -- people will think about it and think quality and think the most awesome brand coming out of Africa," he says. Every week, African Start-Up follows entrepreneurs in various countries across the continent to see how they are working to make their business dreams become reality. 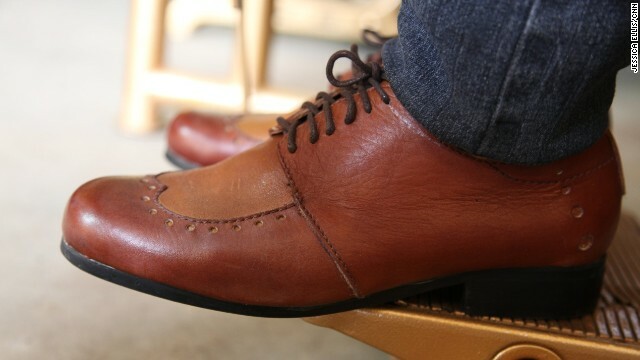 (CNN) -- Fred Deegbe was standing outside a shop window five years ago, marveling at the shiny pair of wing-tip Oxfords he'd just bought, when he started wondering whether such beautiful designer shoes could ever be produced in his country, Ghana. "Impossible," a nearby shoeshine boy purposefully declared after being asked by Deegbe; later, at home, his friends were equally dismissive. 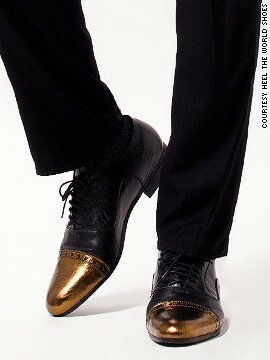 "Everyone was convinced that these high-end shoes could not be made in Ghana," recalls Deegbe. 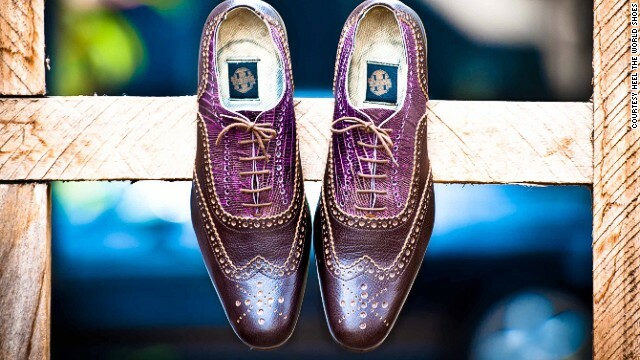 Despite not having any real knowledge about the shoe market, Deegbe, who was a banker at the time, decided to prove them all wrong and take on the world's leading shoe brands. 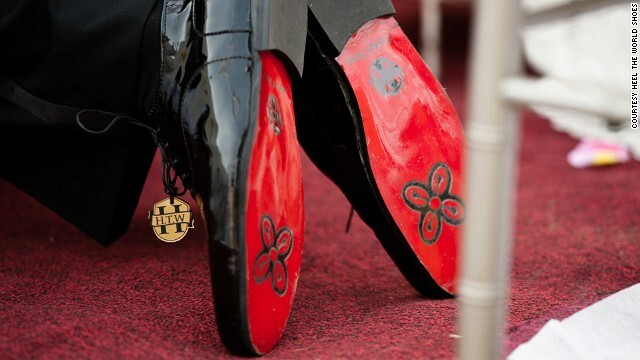 Soon after, he teamed up with a friend and started Heel The World (HTW), a high-end shoemaking company based in Accra, Ghana. "We started buying machines (and) brought them over to the house," says the young entrepreneur, who launched the company from his parents' garage. "We had no intentions of starting the factory in the house, but one thing led to another and we just had to start." Currently, HTW has five full-time employees. Inside the HTW workshop, underneath fashion images hanging from its bright yellow walls, the startup's workers are busy cutting pieces of leather and gluing soles at their work stations. 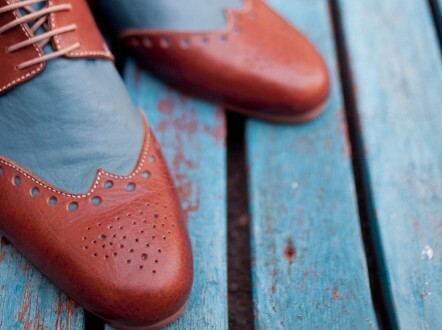 The materials are imported from places like the United States and Italy but all shoes are crafted by hand here. 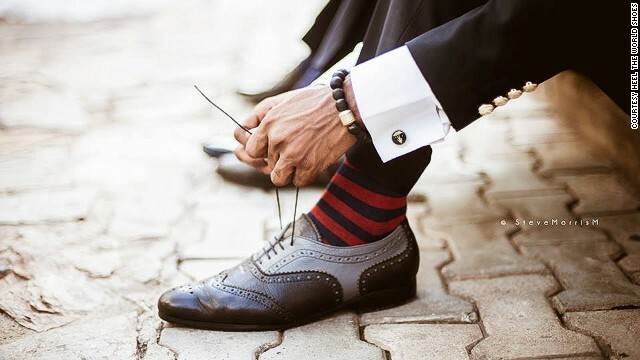 It's a meticulous task, one the HTF staff tend to perform while wearing their bespoke creations -- anything from retro brogues and elegant loafers to stylish dress slippers and eye-catching Oxfords. "They want their friends to ask them, 'Where did you buy that?' and they say, 'no, we made it; we made it in a garage, in Accra, with our own hands,'" says Deegbe. The company produces a wide variety of styles. HTW, which currently has five full-time employees, has built a website to take orders and relies heavily on social media for marketing. Yet, one problem for some potential customers is the cost -- from between $200 to $400, the price would be limiting anywhere, let alone in Ghana, where many people are still hit by economic hardship despite the country's remarkable growth and record poverty reduction in recent years. "That's an uphill challenge that we still face," says Deegbe. "It's because most of this stuff is imported," he explains. People will think about it and think quality and think the most awesome brand coming out of Africa. "You have to convince people that these things can be made here and these things is worth all the money we are asking for," he adds. HTW has also started producing accessories such as so-called "empowerment beads" -- these are handcrafted creations made of glass and brass that are designed to represent all the hard work that goes into reaching a goal. 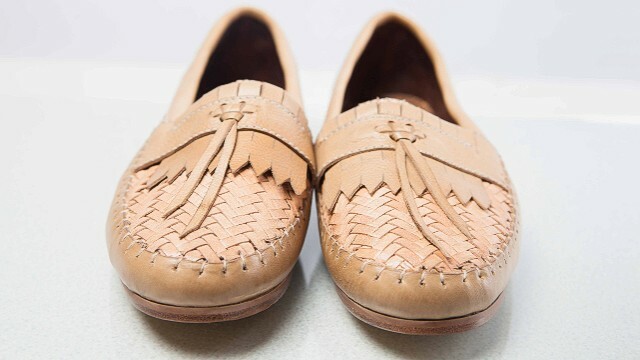 It's something Deegbe has learned first-hand, having taken the challenge of launching HTW to demonstrate that a high-end shoe brand can be made in Ghana. "The good things is we're all quite young in the company -- everyone's under 30 -- and we have a long time to prove people wrong," says Deegbe. "Eventually people will not think of HTW and question it anymore -- people will think about it and think quality and think the most awesome brand coming out of Africa," he adds. In north-west Cameroon, a cooperative of women beekeepers gently nurture hives in the rural outskirts of the town of Bamenda. East Africa's vibrant music scene has been steadily gaining exposure, and now entrepreneurs and investors are catching on. Workers and entrepreneurs in Liberia are struggling to deal with the economic impact of the Ebola crisis. Taxis remain a common mode of getting around in many African cities. Is this three-wheeler about to change that? Christine Mbabazi started designing clothes in her bedroom, now a store owner, she has bigger plans; to become household name. Dakar is the vibrant home of a growing community of surfers taking advantage of the warm weather, year-round waves and cheap flights. Jeffrey Mulaudzi's tourism business is a learning experience on two wheels, giving visitors an opportunity to see the local lifestyle up close. War long made Goma a difficult place to live in, but one woman has set out to change that -- and she's using soft croissants and fresh coffee. If someone has shined your shoes in a South African airport, it's probably thanks to Lere Mgayiya. Meet Kemi Kalikawe, the owner of Naledi Lifestyle Store which specializes in fashion and household items in Dar es Salaam in Tanzania. On the streets of the Ugandan capital of Kampala, scores of vulnerable children face uncertain futures. Translating local charm into eye-catching designs, Definition Africa is a booming t-shirt retailer staying true to its Ugandan roots. Janet Fredman Designs transforms modest materials such as seeds, wood and leather into high-end jewelry. See the full coverage of CNN's African Start-Up -- the show that follows entrepreneurs across the continent making their dreams become reality.